Following the banning of Idomeneo in Berlin, another opera has been censored, this time here in Bangkok. Ayodhya, Somtow Sucharitkul's operatic interpretation of the epic poem Ramayana, was performed in Bangkok on three nights last week. Each of the performances was censored following intense pressure from the Ministry of Culture. 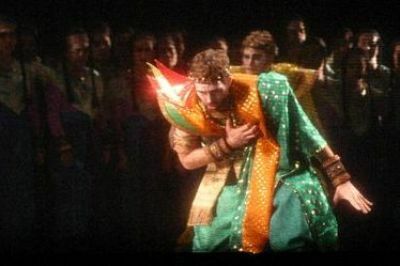 The opera's final scene, as originally staged, included one character, the demon Thotsakan, being fatally wounded. However, the Thai Ministry declared that, according to the tradition of 'khon' dance-drama, it is bad luck to depict Thotsakan's death, therefore they would not permit it in Ayodhya (even though Ayodhya is an opera, not a khon performance). Somtow, who has an extremely high reputation in Thailand and internationally, did initially fight the decision, though he later reluctantly caved in. Marina Warner's non-fiction books are an ideal combination of fascinating subject-matter (contemporary mythology) and diverse sources (drawing references from across the spectrum of culture). The themes she discusses are often ecclectic. For instance, her history of ogres and monsters, No Go The Bogeyman, includes an appendix titled Going Bananas, discussing the cultural history of the banana. Her examples are equally wide-ranging, as she cites classical references alongside fine art and contemporary popular culture. For me, it is this inclusivity that makes her such an interesting writer. She demonstrates a scholarly understanding of ancient historical sources, yet is also at ease when discussing 21st century media. Warner's latest book, Phantasmagoria, is a study of visual representation of supernatural, ephemeral phenomena. She examines historical representations of the soul and spirit, from wax death masks to psychic photographers and zombie cinema. Again, the most impressive feature is the sheer range of both subject-matter (including ghosts, mirrors, ectoplasm, and the apocalypse) and references (from Ovid to MMORPGs). Phantasmagoria's chapter on the Rorschach inkblot test is especially fascinating because it suggests several progenitors of abstract art. Herrmann Rorschach's inkblots were purely abstract shapes, though they were designed not as art but as psychological tools, as patients were asked to discern form and meaning from the symmetrical patterns. Rorschach's research [try saying that as a tongue-twister] began in 1921 (after abstract art had established itself), though more interesting are the earlier, similar experiments of Justinus Kerner. Kerner also produced abstract, symmetrical inkblots (much earlier than Rorschach, from circa 1853 onwards), though he then added eyes, limbs, and other recognisable features, transforming them from abstract blobs to figurative images. These designs were known collectively as 'klecksographien'. The real revelation, though (at least to me), is the work of Victor Hugo, who painted abstract images in ink circa 1850-1870. Hugo's 'tache' stain-paintings were created from random splashes of ink, prefiguring Abstract Expressionism by 100 years. The birth of abstraction in art is generally dated to the first decade of the 20th century. In 1908, Wilhelm Worringer published Abstraction & Empathy, and there was an explosion of geometric abstraction in painting circa 1913, including works by Wassily Kandinsky, Piet Mondrain, Frantisek Kupka, Fernand Leger, Robert Delaunay, and Kazimir Malevich. Of these artists, Kandinsky is most often singled out as the father of abstraction. Kupka's Amorpha: Fugue In Two Colours (1912) is regularly cited as the earliest abstract painting, though in fact it is a depiction of movement, thus not strictly abstract (though perhaps Futurist?). 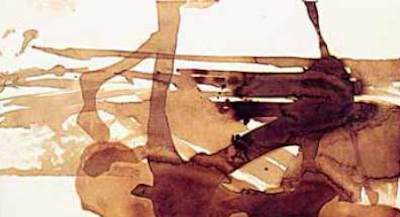 Arnaldo Ginna's 1908 painting Nevrastenia has been described as "probably the first abstract painting in the history of Western art" (in Cartoons, by Giannalberto Bendazzi). However, the random tache paintings of Victor Hugo predate all these examples of abstract art. Hugo even titled one such painting Abstract Composition, and, while it is undated, it was probably produced in the early 1870s. The origin of abstraction is one of the most fascinating aspects of modern art, and perhaps Victor Hugo's Abstract Composition is the earliest candidate? The September-October issue of the journal Film Comment contains a lengthy article by Paul Schrader, titled Canon Fodder. In the article, Schrader attempts something never previously tackled at such length: he explores the history of, and criteria for, a canonical list of necessary films. There have been many previous attempts at compiling 'definitive' lists of classic films, sometimes selected by public votes, sometimes chosen by individuals or panels of critics, and sometimes distilled from polls of critics and directors. I identified the most frequent types last year. The acknowledged leader in the field is Sight & Sound's list of ten 'greatest films of all time', chosen by hundreds of international critics and published every decade (most recently in 2002); Citizen Kane has remained at the top of their list ever since 1962. In his article, Schrader traces the fascinating history of the notion of artistic and literary canons. Inspired by Harold Bloom's The Western Canon, he then proposes and explains a series of criteria by which to judge the films of the past 100 years: beauty ("the bedrock of all judgments of taste"), strangeness ("unpredictable burst of originality"), unity of form and subject-matter ("this traditional yardstick of artistic value"), tradition ("The greatness of a film or filmmaker must be judged not only on its own terms but by its place in the evolution of film"), repeatability ("appreciated by successive generations, it grows in importance and context with time"), viewer engagement ("The great film not only comes at the viewer, it draws the viewer toward it"), and morality ("Good or bad resonance [is] beside the point. The point is that no work that fails to strike moral chords can be canonical"). The Unseeable, the new film by Wisit Sasanatieng, is a ghost story set in 1930s Bangkok. A pregnant woman, Nualjan, has come to the city in search of her missing husband, and she stays as a guest in a run-down old mansion owned by the elusive Madame Ranjuan. The house and its grounds are haunted by a child, a hanged woman, and a gardener (amongst others), and the atmosphere is decidedly creepy. This is a traditional haunted house, complete with billowing curtains and creaking doors. Nualjan is intimidated by the housemaid, Somjit, who is seemingly lifted straight out of Rebecca, with her high-necked black dress, stern demeanor, and sudden appearances. Indeed, the mansion in The Unseeable has a backstory and presence as foreboding as that of Rebecca's Manderley, and Ranjuan and Rebecca exert a similarly all-embracing power over their respective homes. The film's twist ending is similar to that of Art Of The Devil II, and The Unseeable was actually written by one of that film's directors, Kongkiat Khomsiri. 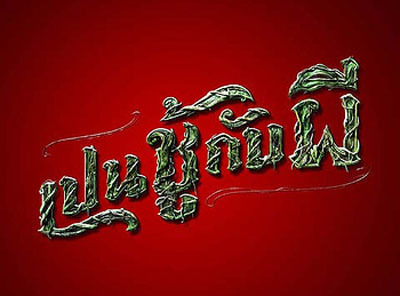 The film's Thai-language title literally translates as 'having an affair with a ghost', which gives a fairly large hint. There is such a rapid series of expositional twists in the final reel that, rather than explaining everything, it all becomes more confusing. Wisit wrote the script for Nang Nak, a hugely popular film about a man who doesn't realise that his wife is a ghost, and Thai cinema has been flooded with ghost films ever since. The Unseeable is therefore a 'safe', commercial choice, but Wisit is by no means selling out. It may be yet another Thai ghost story, though its period atmosphere seems to be frozen in time (particularly as its spectral conclusion implies the cyclical nature of the story). The project which led to the Jyllands-Posten Mohammed caricatures and subsequent Mohammed cartoons has now been published in Denmark. 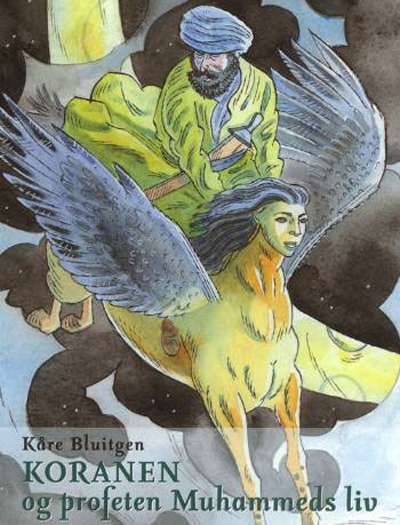 Kare Bluitgen's complaint that no-one would illustrate his book Koranen & Profeten Muhammeds Liv prompted Jyllands-Posten to commission twelve highly controversial Mohammed caricatures, though Bluitgen has now found an anonymous illustrator who agreed to draw Mohammed for his book. 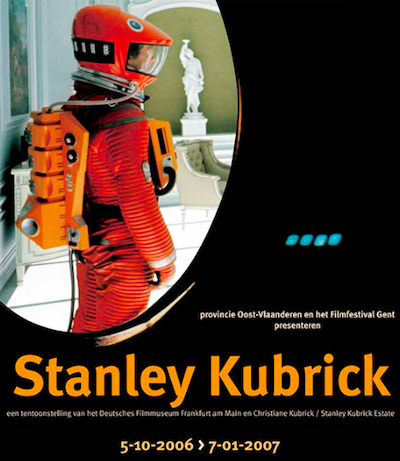 The Stanley Kubrick exhibition, previously held in Germany, has moved to Ghent in Belgium. It is on show at the city's Caermersklooster from 5th October this year until 7th January 2007. I saw the exhibition with my friend and fellow Kubrick obsessive, Filippo Ulivieri, which was the best possible way to see it. It features props from each of Kubrick's films, including iconic items such as the typewriter from The Shining and the 'starchild' from 2001. There are also pages from Kubrick's notebooks and scripts, and hundreds of previously unseen Kubrick photos.